We attended a PEERs luncheon this afternoon. We covered PEERs earlier last semester but here's a refresher if you didn't get a chance to read our last PEERs blog! 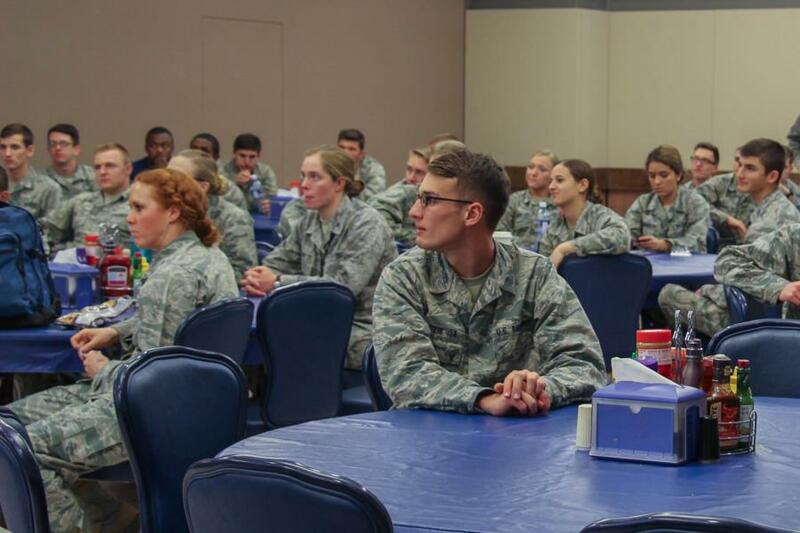 The PEER program’s mission is to provide a supportive environment for cadets and an opportunity for cadets to find help when faced with troubling issues. PEERs support their fellow cadets by providing education, outreach, someone to listen and someone who can refer the cadet to the appropriate helping agency for further support. 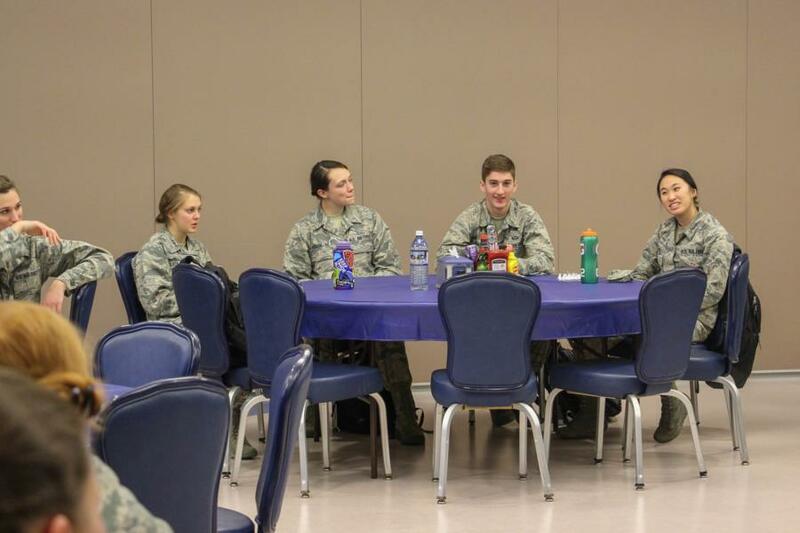 The way a PEER is selected for the position based on a recommendation by the Air Officer Commanding (AOC) because of his or her leadership ability, respect among cadets in the squadron, and ability to connect with others. The Cadets who enter this program receive 16 hours of initial training and monthly continuing training. The purpose of the training is to educate the PEERs concerning their roles and responsibilities, listening skills, problem solving and conflict resolution skills, suicide prevention, eating disorders, confidentiality and HIPAA issues, and other requested topics. There are 2 Wing PEERs and 4 Group PEERs that serve as leadership. Below the Group PEERs are all the Squadron PEERs (approximately 120 Cadets). From here the cadets can apply to become an MGO (Military Guidance Officer). MGO's work during the summer for BCT and there is usually 1 MGO to roughly 150 Basics. 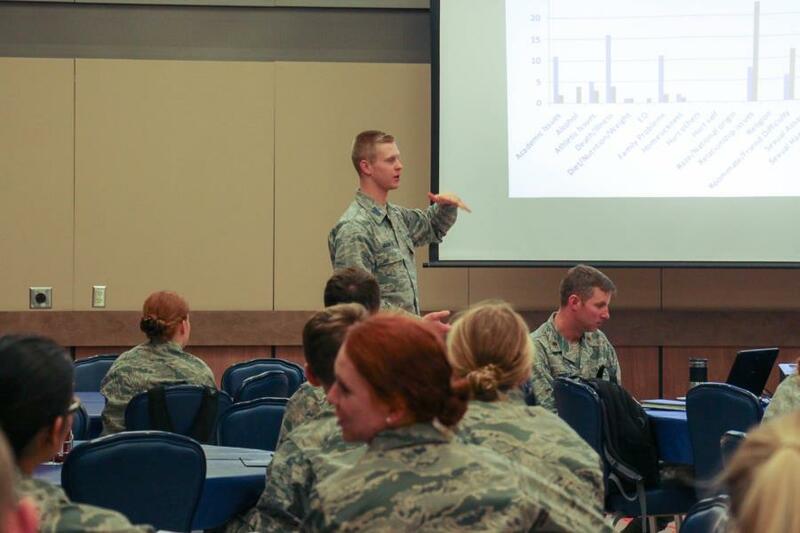 The MGO's training focuses on recognizing Basic Cadet needs and connecting them to the appropriate helping agencies. Go to Galleries - Military Training - Character and Leadership Development to find the rest of the pictures. Or click the link below.